John Peter Suerth was born in Prussia in 1801. In 1833, he married Anna Maria Liber, born 1802, also in Prussia. By June of 1854, the Suerth family had settled in Chicago. In 1870 they were living at 78 Cornell St.(now 1080 W. Chestnut St.). John died 10 December 1870 and Anna died 26 January 1885. They are both buried in St. Boniface Cemetery. For further details, contact the Chicago Genealogical Society. 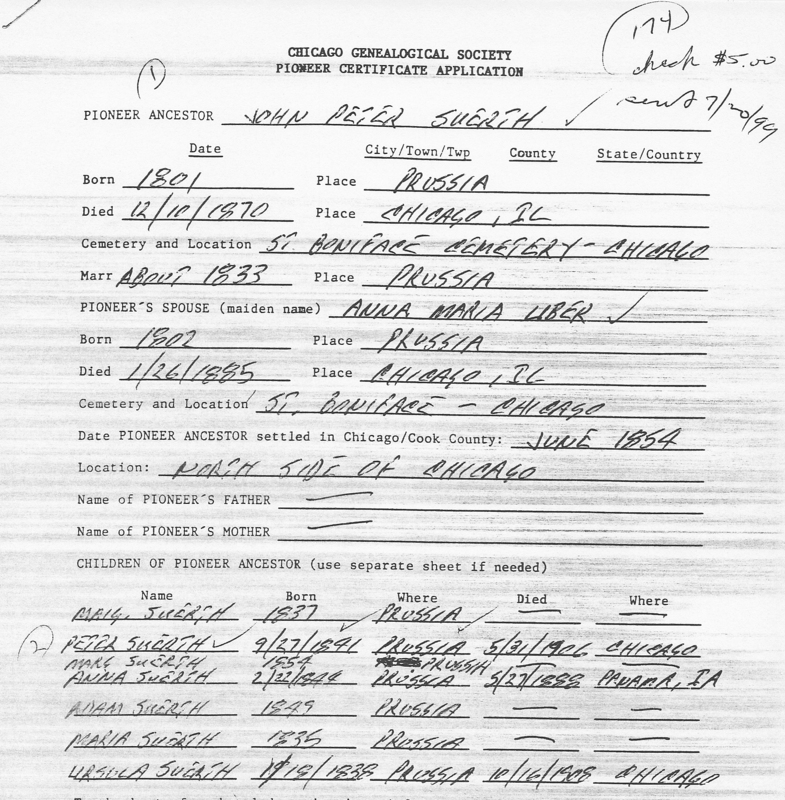 John Peter Suerth is Pioneer Ancestor number 174.